Why Did My Cat Poop On My Bed? We know that the number of cats in 68% of all households in the US has nearly reached 100 million in total. But do you know that at least 10% of these kitties have, at least once in their lifetime, contributed to the poop cat-astrophe that kitty households have encountered? Pooping on their owner’s bed is just one of many such encounters, which is worse than cat urinating on bed. On a peaceful day, as we pass by our bedroom; all busy with minds up in the clouds – probably calculating budgets or workloads – noses are assaulted by that distinctive smell of ammonia. True to our fear we see dark brown nugget shapes on our bed – maybe even on the pillow. You have probably seen your pet – or heard of a friend’s puss – that took a dump in the bed. Another kitty messed the kitchen sink, the bathroom sink or the laundry. Another by the closet door and still another on the carpet, on the door or even on the staircase where somebody even stepped on that one time one was too lazy to switch the lights on. Your kitty – and your friend’s or friend’s friend’s kitty – probably has taken a dump just about everywhere… except inside the litter box. Of course, our kitties know nothing about good or evil. Unlike humans, cats only act on instinct and conditioning. We cannot scold our cat or talk to it like we do to our kids. A cat’s learning skill is similar to that of toddlers. However, we can still teach them to do things. There are three factors that could affect our kitty’s toilet habits – age (or time), litter box and location, and your kitty’s mood and stress levels. Is your kitty old or young? Young felines still need a little bit of adjustment when it comes to using the litter box. But as they grow older, it supposedly gets easier for them to enter and make use of their kitty toilet. For senior felines, however, potty problems may be health-related – like arthritis. Arthritic cats have difficulty getting into and out of the litter box, so you need to introduce your old puss new boxes with lower sides. If your kitty wishes its old litter box but its sides are too high, you may need to cut a portion of its side so that the old cat can climb into it. Additionally, senior cats may lose their accuracy in “shooting” their gunk so you need to place absorbent pads all around the box and even under it. Old kitties also have weakened senses compared to when they were young so this could be why your feline friend makes messy dumps. If your tabby has a slower pace in sensing its way around due to old age, provide some night lighting to help your kitty pinpoint the exact location of the litter box. Some pet parents even have wall-stuck rope lights to guide their cat all the way to the litter box. 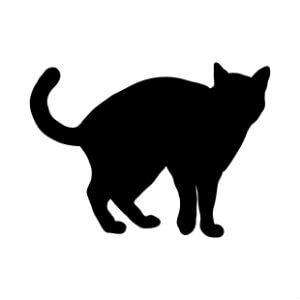 Bowel consistency is also related to health issues and can cause poo outside the kitty toilet. Young felines have lower immunity so they are prone to a list of health problems which includes sickness that has diarrhea symptoms. With diarrhea getting into the litter box in time is a challenge, so the only way to fix diarrhea is to have your kitty health checked by the vet. Older cats, meanwhile, are prone to constipation. Constipation means stress and discomfort which will make your cat associate such negative sensations with the litter box. Additionally, because it takes some time for your cat to unload its gunk, it may make so many attempts to discharge the troublesome nugget whenever and wherever it can. If your feline friend has no health issues, then you may need to check out its “toilet” – the litter box. It has three factors that could make or break your fussy puss – and have it scurrying for another “better” loo. These are the litter, the box, and the location. Does your kitty teeter along the sides or on the edge of its litter box? Does it seem too much in a hurry going in and out of its box, as if it’s afraid that some creepy crawly critter from the underworld is about to grab it while it unloads its turd? So much so that it may not even bother covering its deposit? If you answered yes to one of these questions, then your furball may be having issues with the litter. Cats are finicky to litter quality – whether because of the brand, the type of scent, the texture or material. They are very sensitive to these changes. But unlike us humans who can openly use words to complain, the only thing tabbies can do to protest is by leaving you those wayward turds. Identifying the specific litter box issue your kitty may take a couple of weeks, as well as various litter boxes. Introduce your cat to a minimum of three litter boxes in one particular area of the house. Each box must have one different quality of litter from the other, such as brands (brand A vs brand B vs brand C), scent (unscented vs natural grass vs pine), and texture (crystals vs gravely vs fine-grained). Although each cat has its own preference, the usual choices are unscented, fine-grained litter piled two to three inches deep inside the litter box. Long-haired cats may prefer less than two inches litter, but a rather smooth and slick-surfaced litter box. After cleaning, refill and even out the litter to avoid kitty pee from pooling at the bottom of the box and making it stinky. Your cat will usually take around 20 seconds to cover its poop and pat down the litter and contentedly leave the box if it is fully satisfied. Before changing your cat’s type of litter box, you may want to consider first how old and clean is your kitty’s toilet? Cats, like humans, are finicky and drawn to new and clean things. Having a litter box accumulate more than 24 hours of gunk can make it stinky to your cat and discourage it from enjoying its private time. If you have a fussier cat, you may even need to remove the used litter at least twice a day. In addition to removing used litter regularly, have a general box cleaning at least once a month – weekly if the litter is non-clumping since the entire litter will have to be replaced. You will also have to change the litter box from time to time if regular scrubbing no longer removes the stink. There is no need to use enzymatic fluids. Forget citrus scented-cleaners too since cats dislike citrus fruits. If you have been keeping your kitty’s litter box clean regularly, another problem could be the size and shape of the box itself. A box has to be at least 1.5 times the length of the cat for the kitty to find it comfortable to poop and pat. Linings, privacy, back and side heights, and even self-cleaning properties may be determined using the multi-litter box experiment. If changing boxes and litter still does not move your cat into the box, then it is possible that your kitty does not like its current location. This is especially true if your cat’s litter box is too far from its favorite haunt that the poor puss has difficulty holding it in as it runs for a dump. If your kitty makes use of its current litter box but is still pooping on your bed or some other parts outside its dumping ground, then it may mean that your frisky feline wants a second toilet box location – one that is more convenient for its daily rounds. This is especially true if your house is wide or multi-storied. Having additional litter boxes will be convenient for your kitty and one litter box per floor is recommended. If your home houses multiple cats, it is also ideal to have one litter box for each cat, plus one. Just be mindful that cats are fussy with their own litter box. Another possible reason it does not like the location is the surroundings. A sudden sturm and drang in the likes of nearby passing and honking cars, thuds from the washing machine, or abrupt and surprising loud sounds that disturb its pooping time can be a cause for it to shun its current litter box location. Worse, if the sudden sounds happened during its first poop experience in the box, it could associate the litter box with such traumatic event and will totally refuse the whole toilet set. Do you place litter boxes near your kitty’s feeding bowls? Chances are your fur ball would either not eat, or would pick a different poop depository, so have the food bowl and the litter box in two separate areas of the house. If your cat fancies a place where placing the litter box is possible, try moving the litter box to that area. Have you done a little bit of decorating before the cat-astrophe occurred? And did your kitty do the deed in areas near the newly-rearranged spot? Chances are the pet puss just found itself a new and better location. If it is possible to relocate the litter box to that area, then do so. Otherwise, have that “new” area thoroughly cleaned and unavailable to the kitty and retrain your feline to its litter box. Cats are sensitive and temperamental so you have to identify the mood or trigger that caused your kitty to turn your bed into a loo. New kitties may carry with them litter box preferences as well as traumatic experiences from whence they came, so you may need to consult with the shelter, the sanctuary, or the cattery where you got your kitty and trace any litter box issues for easier correction. Cats also prefer to deviate from their habits when they are stressed. They may spray in the wrong places; they may urinate and defecate outside their litter boxes, and afterward, hide and barely show their faces to us, cat parents. Investigate the cause of their stress through the hints they give. Some of these traumas have been mentioned above, such as constipation, sudden thuds, and even surprises. But what if it has to do with thunder? Fortunately, thunder is not a frequent phenomenon (unless you live in a place where there is a thunderstorm daily or every other day). One option is to have your kitty readjusted to thunderstorms and at the same time use a quick-escape type of litter box so your kitty can easily run off. Another is to relocate the litter box into a place where they may feel safer. Gradually introducing the newcomer to your feline friend will help make your kitty adjust. Cats are sensitive to absent household members, too. A change in the number of people your kitty lives with can affect its toileting habits. Spending a week out of town away from them, for example, might make them want to leave their spoils on your bed. Kitties are used to the mingling of their scents with their usual companions so they are actually reassuring themselves of your presence by mingling their poop with their own hooman’s not-so-distinctive scent. Most multiple-cat households would face this issue. Cats tend to have hierarchies, so it is important to know their territories as well as who is higher than who. Inter-kitty dispute tends to happen when a newcomer enters the home, so a gradual introduction is advisable. Feuding cats, on the other hand, have to be separated for a while and may even require retraining for their litter boxes. One thing is for sure – these felines are fussy with their litter boxes and some even do not share, so having an extra litter box always helps. Bully cats and other animals are also to look out for. Other pets, for instance, may not recognize the hierarchy your kitty is in. The same with wayward animals and those outdoors (indoor kitties may be prone to harassment from those outside the house compared to outdoor tabbies). Make sure that your stressed out feline has its litter box free from any obstruction by any of these critters; even by bullying fellow housecats. Additionally, cats in multiple feline households tend to prefer open litter boxes for a quick access to their litter box. If your cat is a homebody with no fellow pet brother, it might like a hooded litter box like those by Frisco, Nature’s Miracle, or Pet Mate. These boxes will keep prying eyes from your kitty. Or you could place the litter box in an area where no outdoor critter can peek. So, even with an open box, your puss will still enjoy the unloading time in peace. While trying to resolve your kitty’s issues, you still have to clean the gook off your sheets, pillows, bed, and other areas of the house where your cat is not supposed to take a dump. Doing so with regular house cleaning agents will not erase the ammonia scent – a cat’s nose can detect the slightest whiff of its own scent that you cannot even smell, tempting your cat to leave deposits again. Use enzymatic cleaners like Nature’s Miracle and Kids n’ Pets to clean and remove the scents your cat may pick up on. Pour the cleaner – spraying it will not make the cleaning substance deep enough to penetrate and totally remove the ammonia. You may also use less strong cleaners, but you still need to add some cat repellent. When the hard cleaning is done, try to alter the newly scrubbed ground zero by closing and if necessary, locking doors, putting tin foil barriers, carpet runners upside down, and the like. You may even need to add more citrus repellent to discourage your kitty from coming in. Let us face it – our kitties grow old and discover new things and new places even if they are indoor cats. Today they like the bed; tomorrow they might prefer the basement. The important thing is to be able to identify the reason they would like a new toilet address; whether their litter box location needs a little bit of modification or if they need a new litter box. Always make sure that your kitty is healthy first. The unwarranted bed dumping may be a health issue that requires a visit to the vet. Your kitty is a creature of habit so whenever it takes a dump at a wrong location – for you, at least – it could mean something is up.